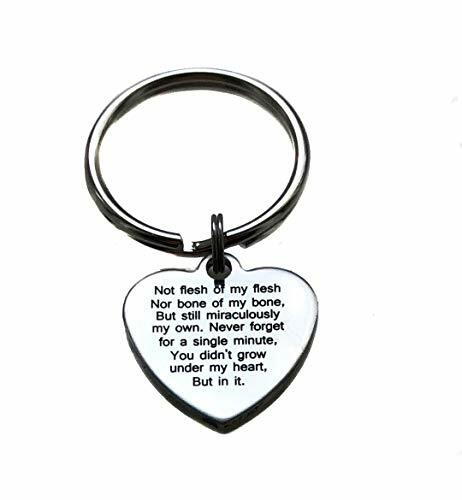 Keychain made with a stainless steel 20 mm (0.79") "Not flesh of my flesh, nor bone of my bone. But still miraculously my own. Never Forget, for a single minute, You didn't grow under my heart, But in it." adoption charm.